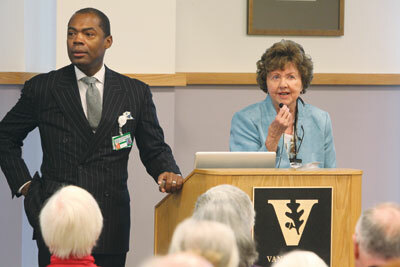 Osher Lifelong Learning Institute at Vanderbilt supports lifelong learning. It is an organization that provides adults with educational programs, stimulating tours and trips, and a variety of social events. The program reflects the high academic standards espoused by the university on all levels. By offering non-credit courses, students benefit from the stimulus of lectures and discussions in an informal and relaxed environment. The student body is a cohesive group that projects a true sense of community, always welcoming new members. Produced by Vanderbilt University Creative Services, 2007.